Assistive Technology can be reused, repurposed and recycled. In this election year, there are an abundance of election signs. This hands-on session will explore 101 assistive technology solutions you can make with discarded election signs. Participants will utilize a Coro-Claw, utility knife, ruler, scissors and a paper cutter along with double-sided permanent foam mounting tape, corner guard and VHB tape to fabricate the following items: a pocket Eileen, a QR code scanner holder, a hands free document holder, a book holder, a laptop holder, a multi use spring clip and resting shelf, stoppers, a UMount, tracks, and multi use feet. Join the Briar Bush staff for a fun night complete with dinner, animals shows, and senses-themed interactive stations, all at your own pace! Autism and Insurance Who pays for what services? Webinar on Autism and Insurance Who pays for what services? This FREE webinar is designed for family mem- bers, people with developmental disabilities, and advocates. It will include a presentation and Q & A session. Professionals are welcome to attend; however, questions from family members and consumers will be given priority. Our speaker Katie Hornberger is a disability rights attorney and the Director of the Office of Clients’ Rights Advocacy (OCRA). You will need a computer with internet access to view the presentation. You may listen using a phone or your computer speakers. Support groups are open to all parents or adults who need help within these categories. To sign up, simply email [email protected] or call 678-561-7589. The group will be filled after 5 couples sign up. On behalf of KYABA, you are invited to join us at our fall workshop series in Louisville on November 13th-14th. We look forward to seeing you in the beautiful Bluegrass State in November! KYABA is an approved BACB® continuing education provider (BACB® ACE Provider #OP-12-2222) since 2011. Once a year, The Arc’s network meets in person—and we are gearing up for yet another exceptional event! Don’t miss out on the action in Indianapolis, IN from October 3-5. National Convention provides the chance for you to network with other families, service providers, and members of the ASD community. This year marks the 65th anniversary of The Arc’s mission to create a more inclusive and independent life for people with I/DD. 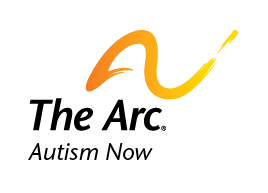 Join us to connect with the core of The Arc’s network, celebrate all we have achieved, and impact the future! Get the latest details about this year’s event on our new Official Convention website. Early bird rates are only open until June 15th—register now and save! Guest Speaker: Amy Goodman, Director of Autism Now, The Arc of the U.S.